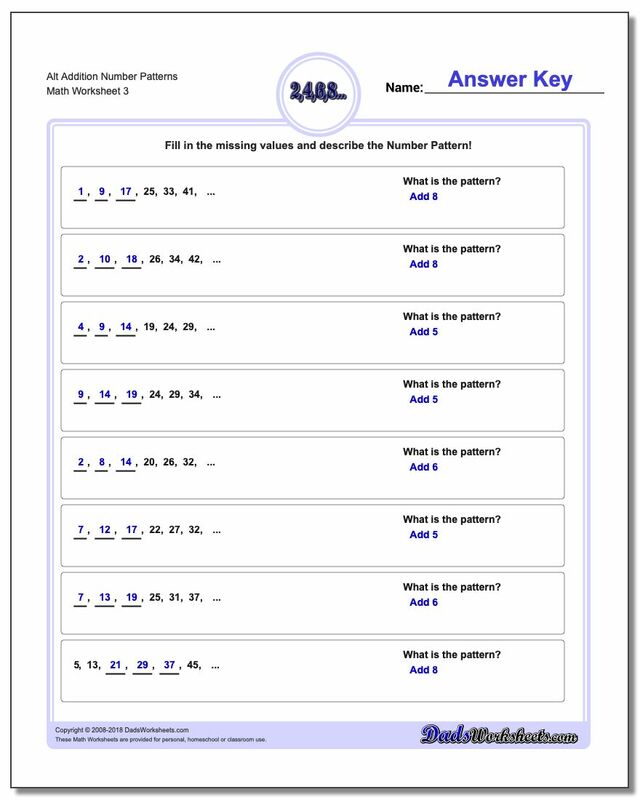 Number pattern worksheets still using only addition operations, but with gaps at beginning or middle of the series. 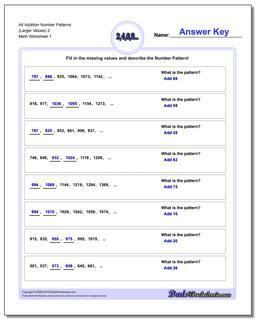 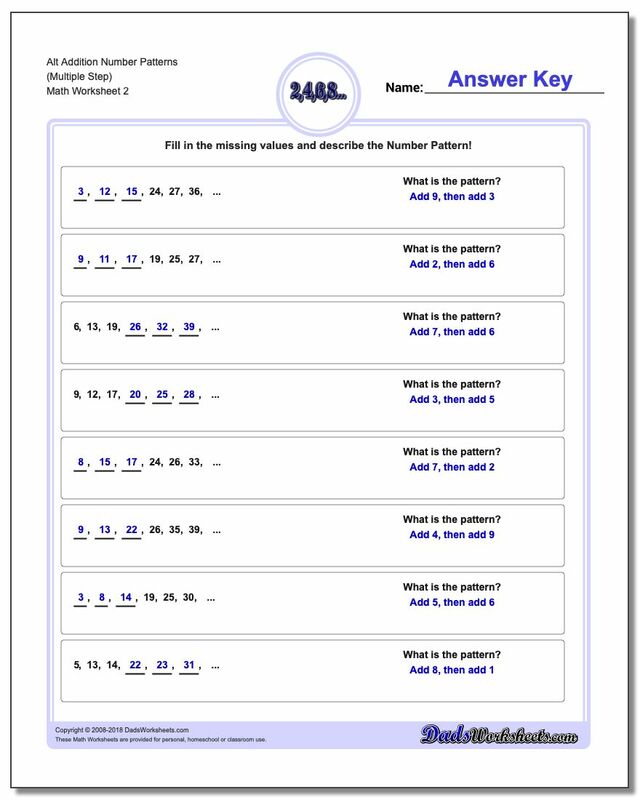 This forces the student to work the pattern in reverse to determine preceding values in the sequence. 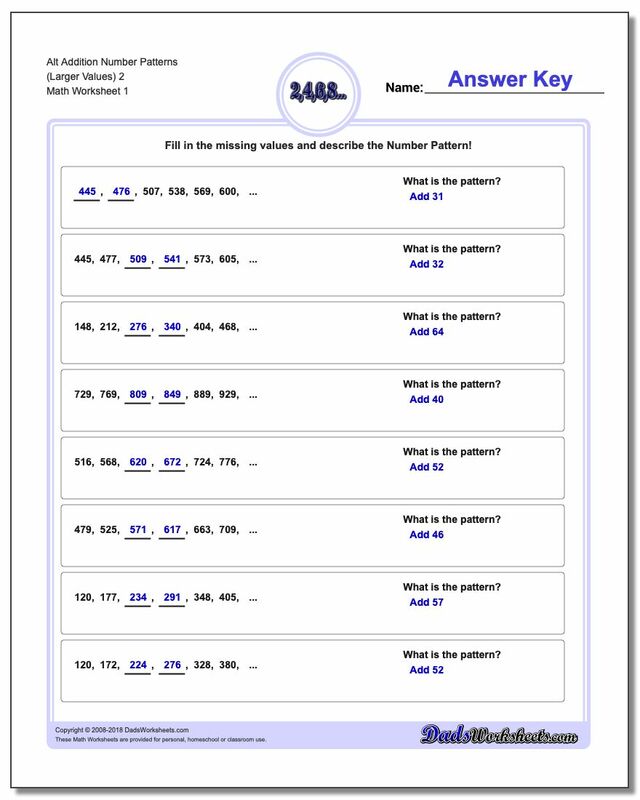 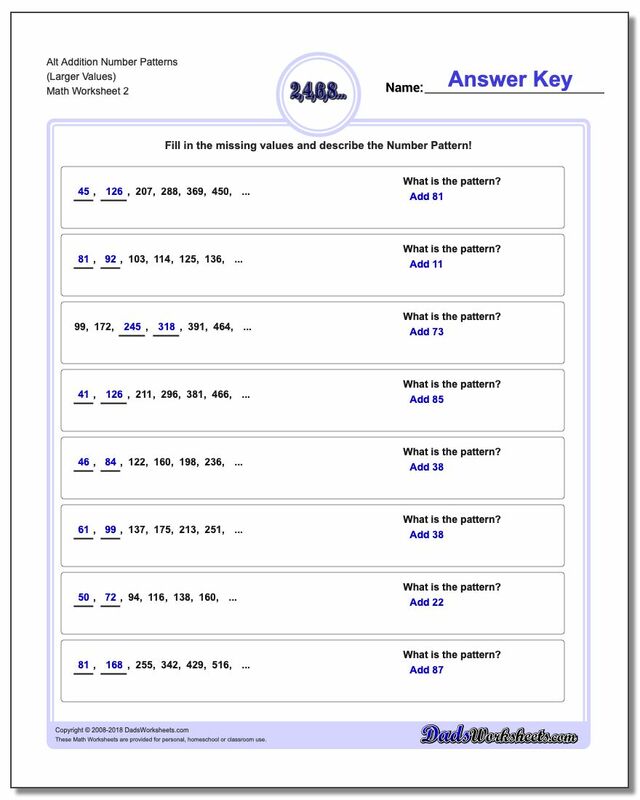 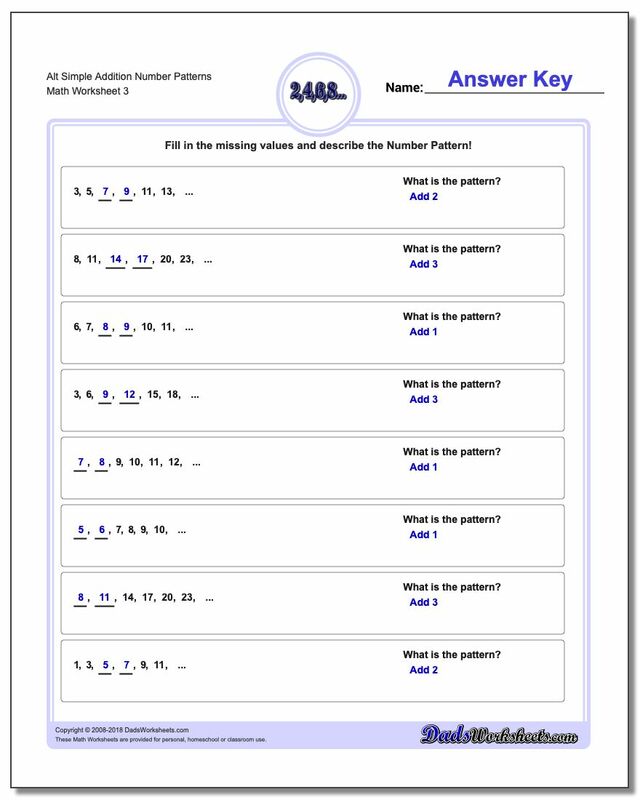 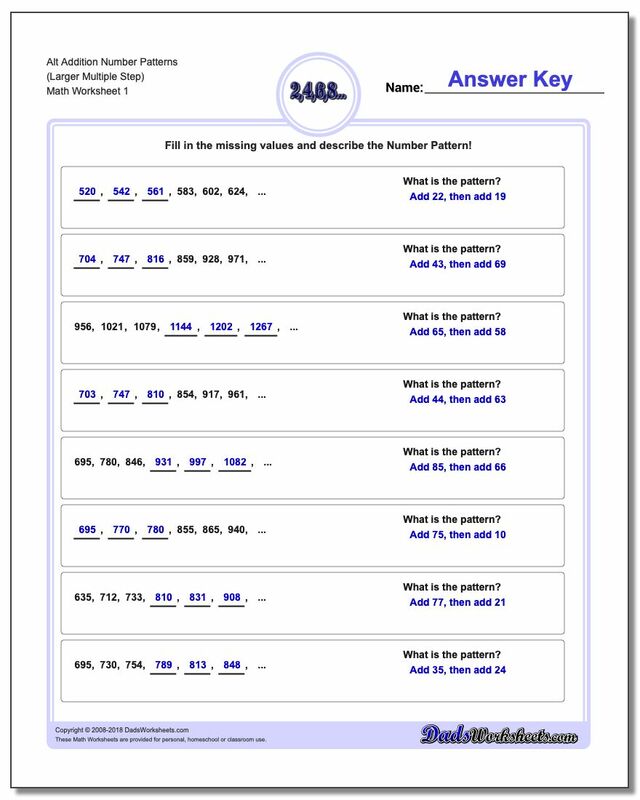 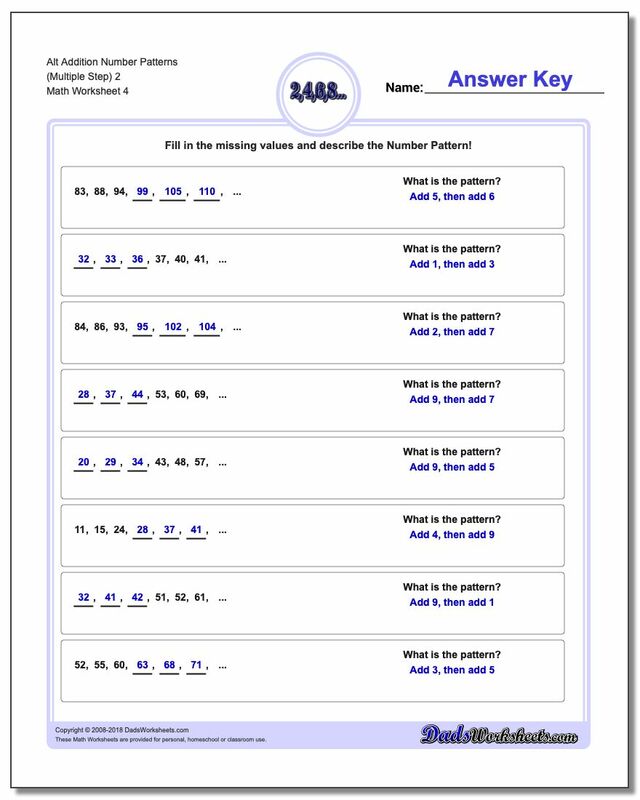 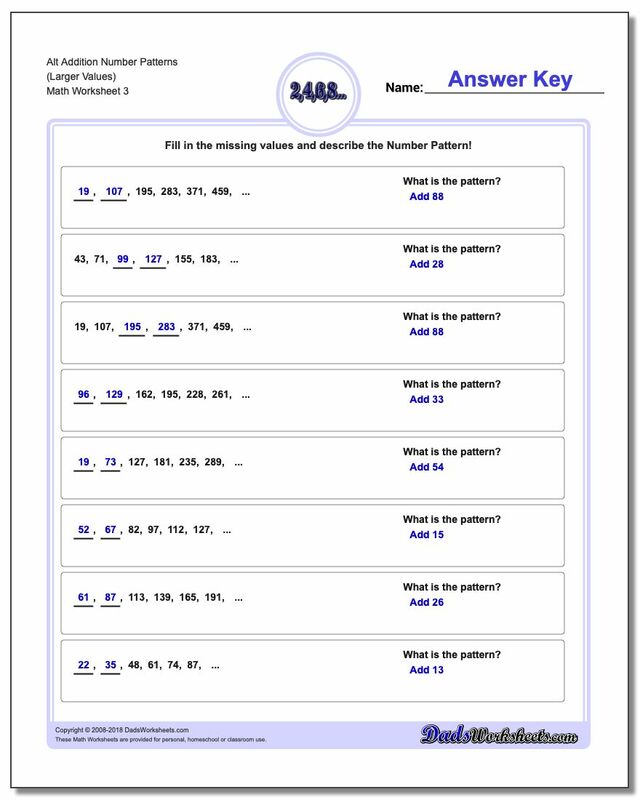 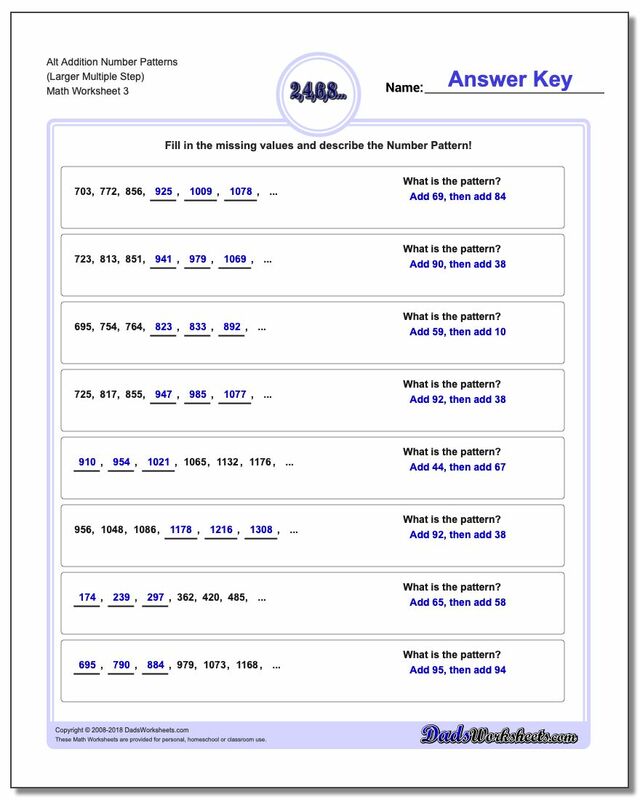 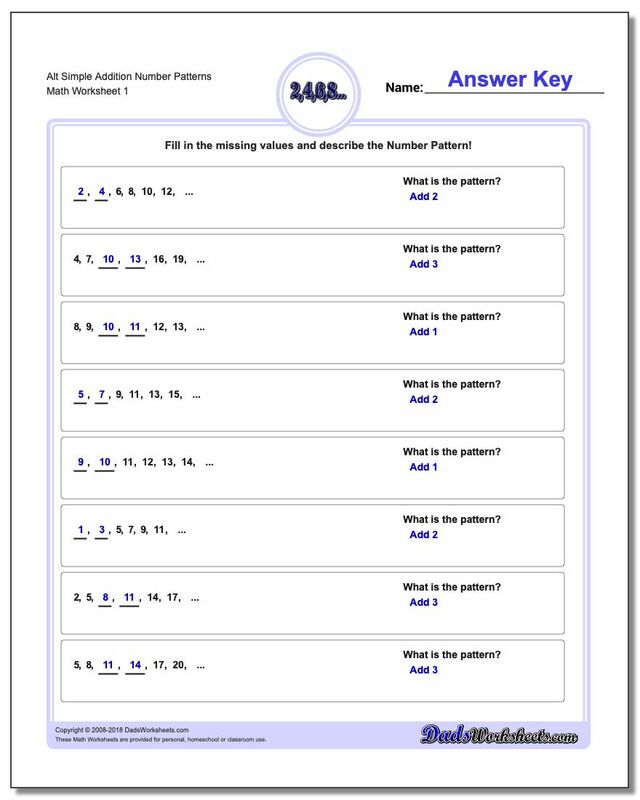 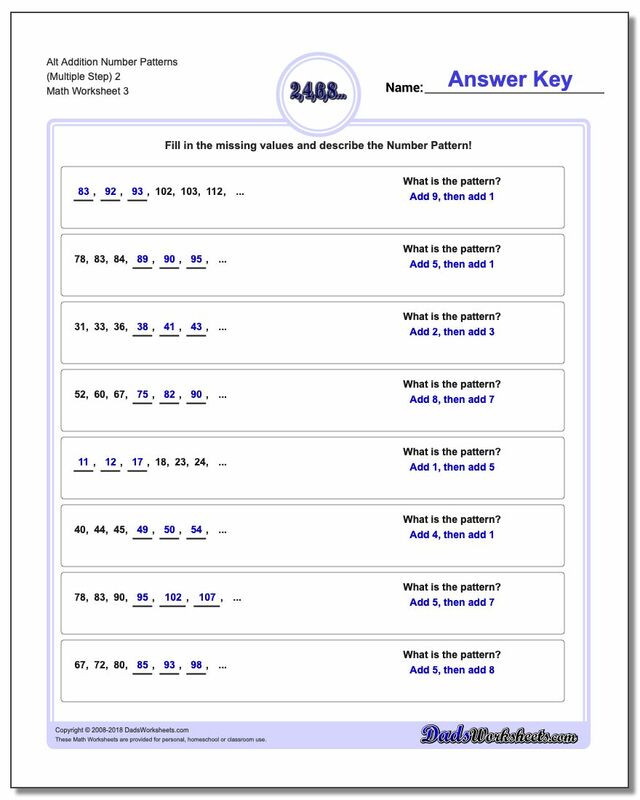 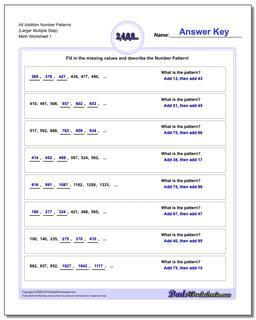 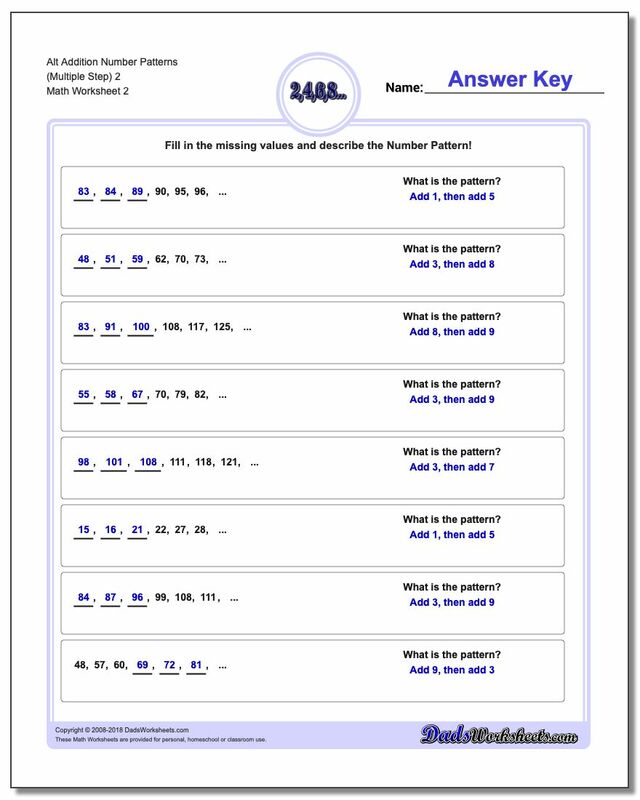 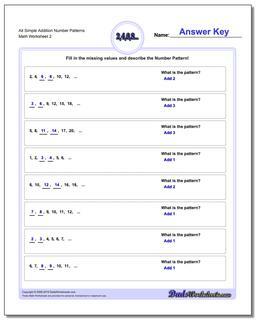 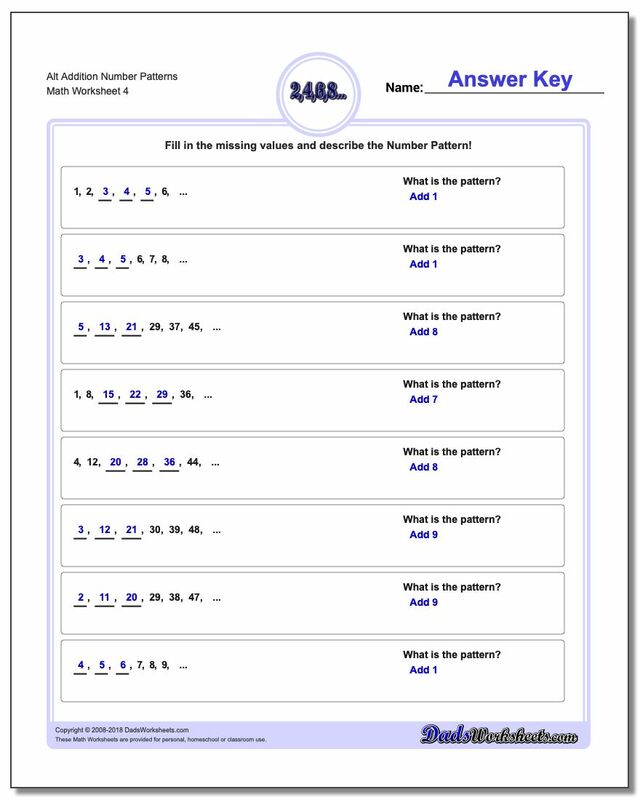 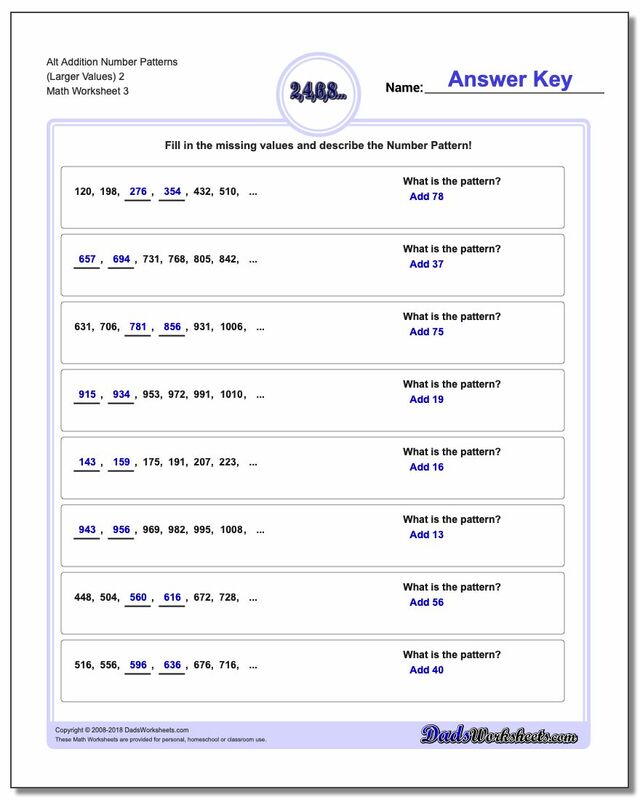 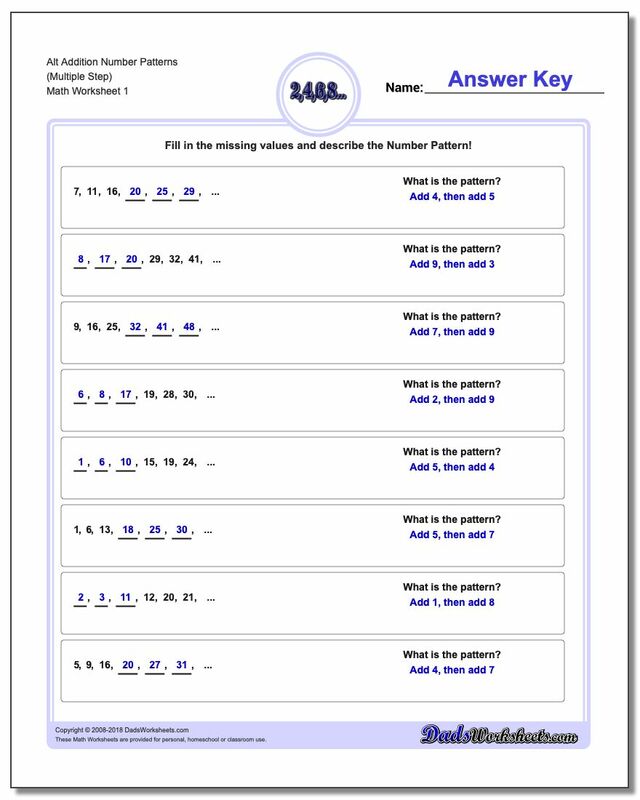 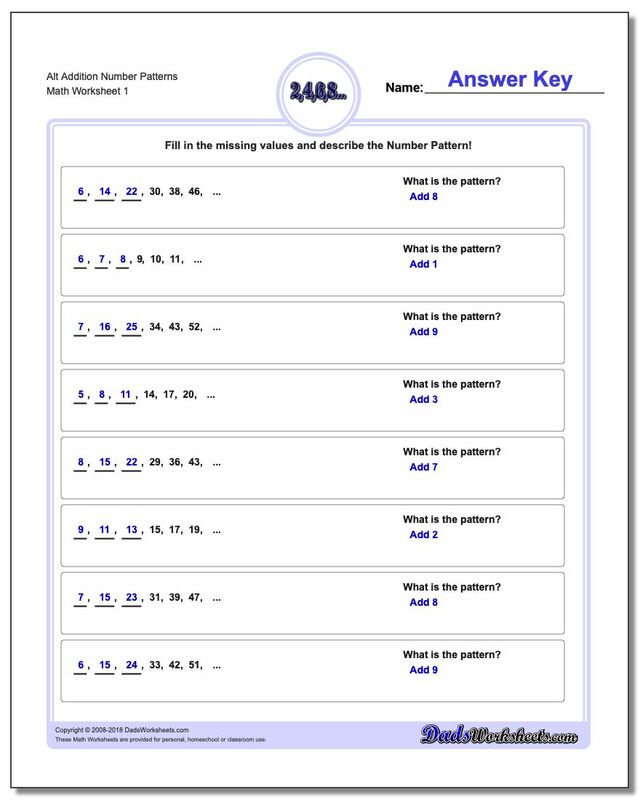 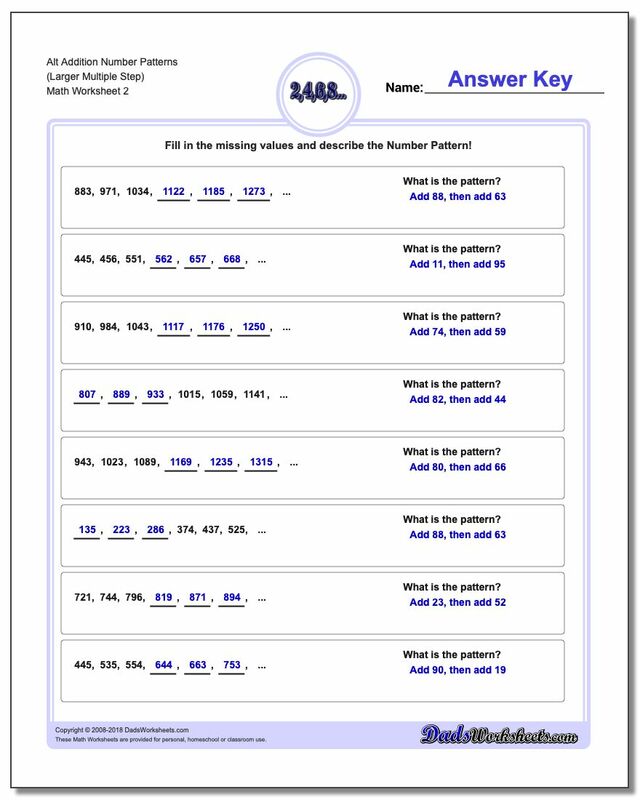 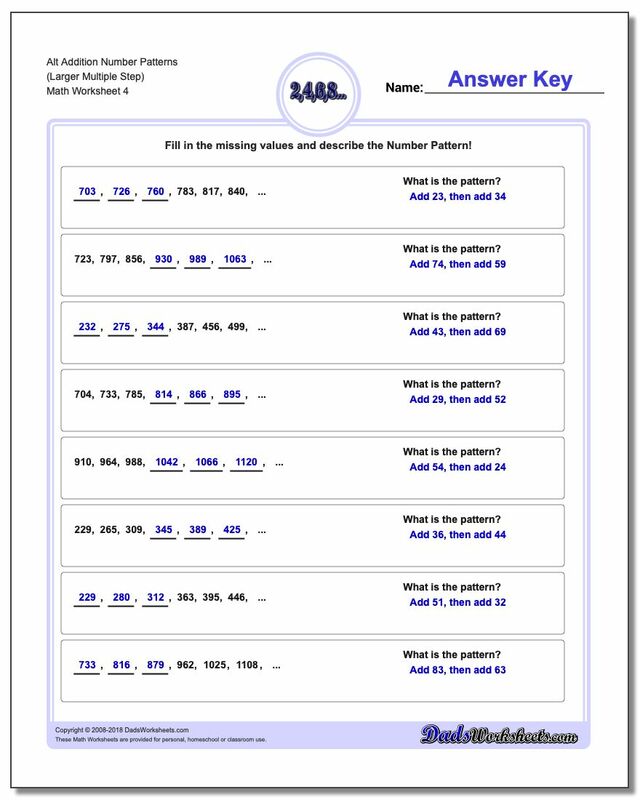 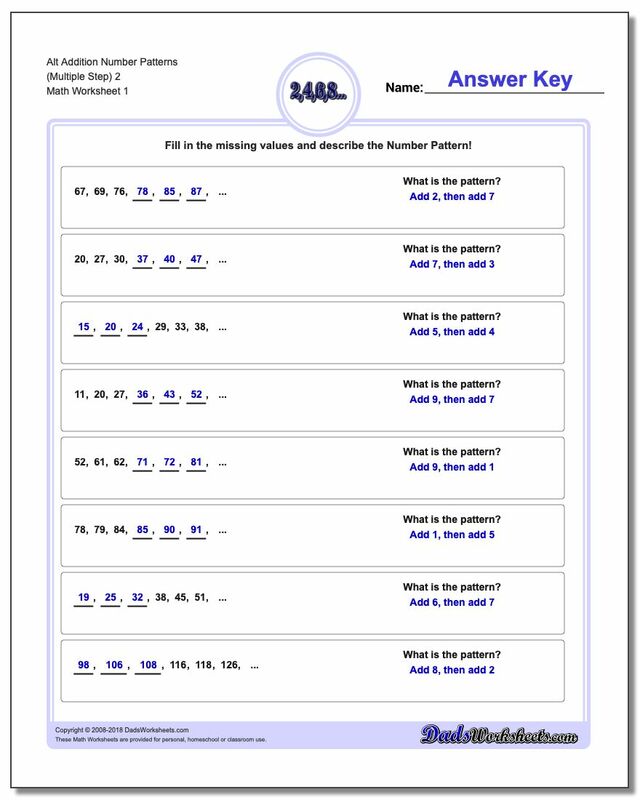 While these pattern worksheets still focus on pattern rules involving only addition, they ask the student to find the values in the sequence in other places besides just the end. 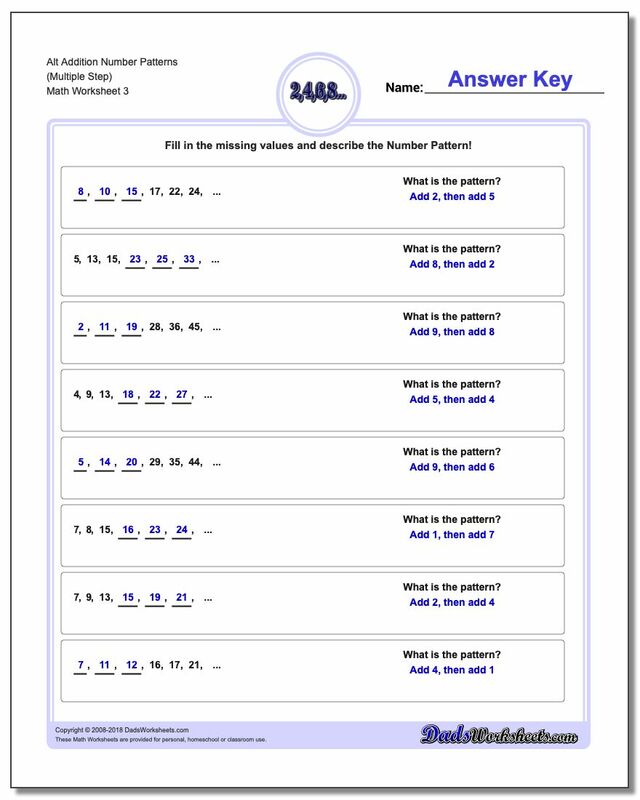 Being able to work a pattern both 'forward' and 'backwward' is a critical thinking skill that will make solving more advanced patterns easier, and in these instances often provides a way for students to self-correct their work.